The deal paves the way for Disney to launch its streaming service Disney Plus. DISNEY HAS CLOSED a $71 billion (€62 billion) deal for Rupert Murdoch’s 21st Century Fox. The major deal paves the way for Disney to launch its streaming service Disney Plus, which is due out later this year. 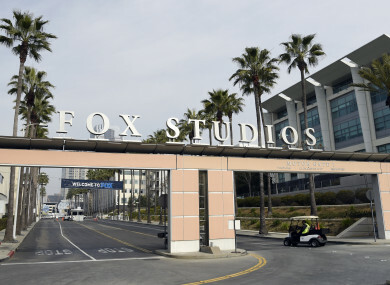 The deal will likely lead to thousands of lay-offs due to the to duplication in Fox and Disney film-production staff. By buying the studios behind The Simpsons and X-Men, Disney aims to compete with technology companies such as Amazon and Netflix for viewers’ attention and money. The deal helps Disney further control TV shows and movies from start to finish – from creating the programs to distributing them though television channels, movie theaters and streaming services. Disney would get valuable data on customers and their entertainment-viewing habits, which it can then use to sell advertising. Cable and telecom companies have been buying companies that make TV shows and movies to compete in a shifting media landscape. Although internet providers like AT&T and Comcast directly control their customers’ access to the internet in a way that Amazon, YouTube and Netflix don’t these companies still face threats as streaming services gain in popularity. Pricing for Disney Plus has yet to be disclosed. The streaming service will feature five categories of material: Disney, Pixar, Marvel, Star Wars and National Geographic. Email “Disney closes €62 billion deal for 21st Century Fox ”. Feedback on “Disney closes €62 billion deal for 21st Century Fox ”.